It feels really odd to be reviewing on here, not on Serendipity Reviews ! But I have Viv Dacosta’s permission – because it’s all for Tommy. If you follow me on Twitter ( if not, why not?) 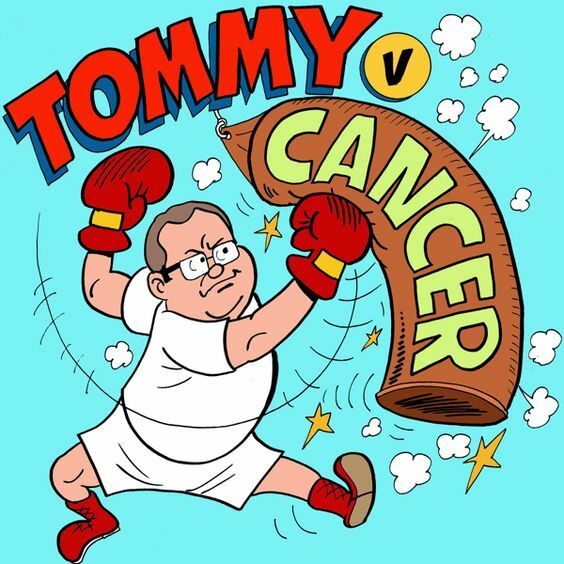 the you’re almost bound to have noticed the #TommyVCancer hashtag. I haven’t actually met the outrageously funny and talented Mr Donbavand in Real Life – but his posts really made me want to. Not just that – but to learn from him. I was itching to join his Step by Step Writer programme. Then the cancer struck. So I did the next best thing – I joined his Patreon. I want to help a decent, funny and talented bloke get through this in what little ways I can. If nothing else, I will then get all that clever advice in the end! Come on Tommy, win. I need your advice! I live beside the sea – and the combination of the pun and the creepy old woman had me intrigued. Perfect Tommy-style – humour and scariness combined. 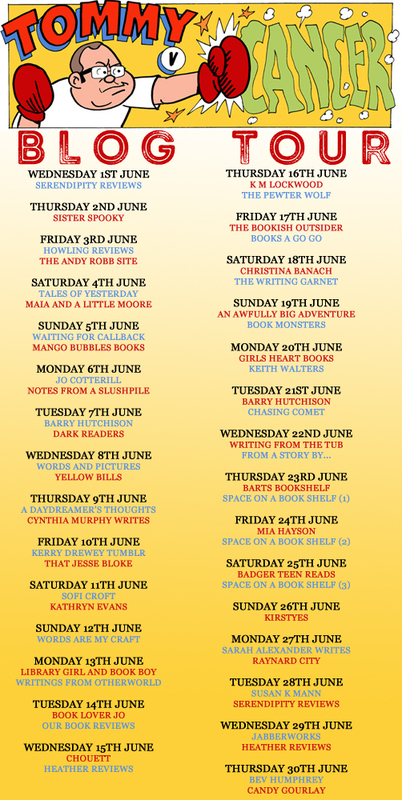 Having tried to write a quick read like this, I can tell you, it’s really, really difficult to keep it short and yet have plenty of adventure. Quite how he has packed so much fun, courage and action into such a small space is amazing. 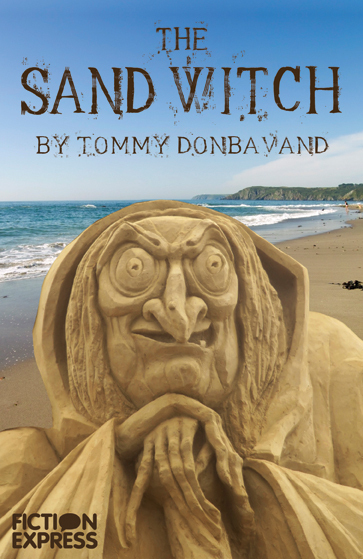 It’s fab read for the beach and could inspire hours of make-believe entertainment for sand-sculpting readers. Entertaining to read loud as well – pop one in your picnic basket, or give to grandparents not sure what to read to kids on hols. I will write a tiny spooky story ( like this ) for anyone who pops their name in the comments below. You don’t *have* to donate to Tommy, or buy or borrow his books – but it would be kind – and sort of the point, really. This entry was posted in Alternative Pursuits, Reading and tagged #tommyvcancer, review by KMLockwood. Bookmark the permalink. I loved this little book too! How clever to fit so much into such a quick, fun read? Would you like a story then?